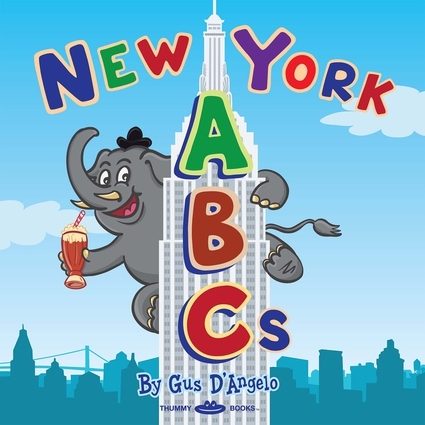 Featuring engaging illustrations and alliterative wordplay, this hip board book teaches kids the alphabet while exploring New York City’s coolest sites – from the Empire State Building and Coney Island to the Staten Island Ferry and the High Line. A menagerie of whimsical, colorful animals takes kids on a fun, insider’s tour of the Big Apple. The perfectly unique gift for any junior New Yorker! Gus D'Angelo is an artist and animator whose illustrations have appeared in the New York Times, the San Francisco Bay Guardian, and the Washington Post. He is the author and illustrator of San Francisco ABCs. He lives in San Francisco.